Now 60% off our regular price ($4.50)! While quantities last! 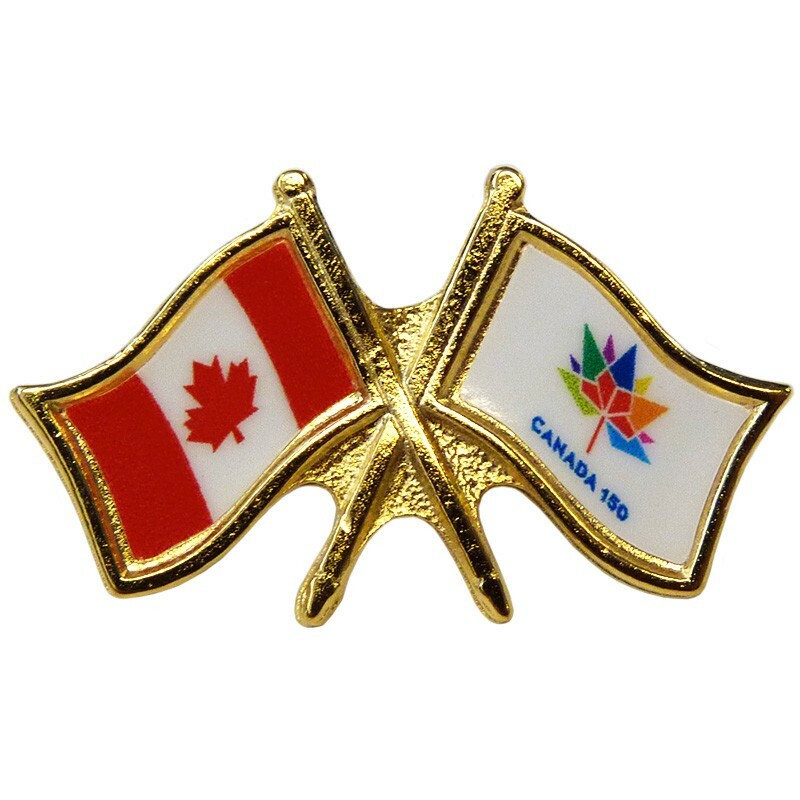 Our Canada / Canada 150 crossed flag pins (also known as friendship pins) are high quality, with butterfly clasp.